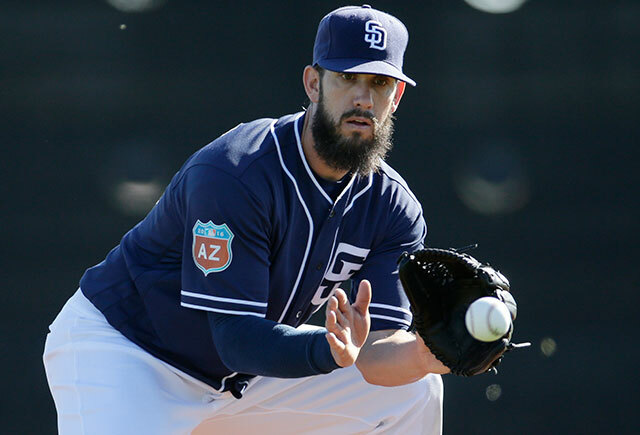 It's spring training time for the National League West, where Cliff Corcoran breaks down the big change, big question and big prospect for each team as camps open. This week from Monday through Wednesday, SI.com baseball experts Cliff Corcoran and Jay Jaffe will break down what to watch for in each team's camp as part of our spring training preview by looking at the Big Change, Big Question and Big Prospect for all 30 clubs. Teams are listed by their order of finish from 2015. Note: The Big Prospect is a player who will be in big-league camp this spring but has not yet debuted in the major leagues. Today's preview: the National League West. 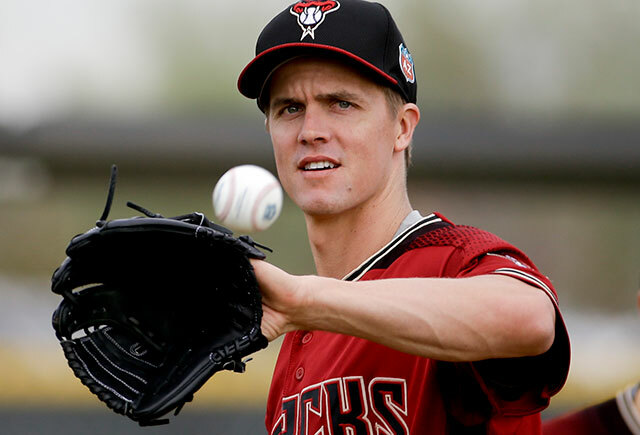 The loss of Zack Greinke—the Don Drysdale to Clayton Kershaw’s Sandy Koufax—is huge, but Greinke was due to regress even if he remained in Los Angeles. Potentially as significant, and certainly more widespread, is the introduction of a new manager and almost entirely new coaching staff after eight years of relative continuity under Joe Torre and Don Mattingly. Pitching coach Rick Honeycutt, who predated even Torre, and catching coach Steve Yeager are the only coaches who remain from last year. Surrounding them are a host of new faces from outside the organization, led by former Dodgers player and Padres bench coach Dave Roberts as the new skipper and former Athletics manager and Mets bench coach Bob Geren as Roberts’s lieutenant. With the Dodgers’ front office having turned over last season after the hire of the relatively young and progressive Andrew Friedman, formerly of the Rays, and Farhan Zaidi, formerly of the A’s, the expectation is that the new manager and coaching staff will be more receptive to data-driven influence from the front office. That isn’t to say that Mattingly was resistant, but that a prerequisite for the job was likely a full buy-in to the front office’s philosophies and approach. Geren’s time with the A’s preceded Zaidi’s rise to prominence in Oakland, but he nonetheless has experience working in a top-down, data-driven organization. As for Roberts, whose only prior managerial stint at any level was a single game as an interim skipper for the Padres last year, he lacks the experience to pull rank on his superiors. The Big Question: Can Yasiel Puig recapture his superstar form? In his first 871 plate appearances from his major league debut in June 2013 through Aug. 3, 2014, Puig hit .321/.399/.543, but in 512 plate appearances since then, he has hit a mere .248/.324/.394. As recently as a year ago, Puig looked like one of the game’s true superstars, but following a poor finish to the 2014 season and a disappointing, injury-riddled '15 campaign, there are significant questions about what path the 25-year-old’s career will take. ​Puig's talent remains undeniable. He has proven his ability to thrive in the majors over a significant sample, and he’s young enough that his best years may still be ahead of him. But to what degree did his chronic hamstring injuries last year impact his performance at the plate? Will he be able to stay healthy this year? Will personality conflicts and off-field issues continue to be a part of his narrative? And how will the turnover in the coaching staff—including a new hitting coach in Turner Ward (previously of the Diamondbacks and in close company with Puig in this infamous 2013 brawl) and a new assistant hitting coach in Tim Hyers (formerly a minor-league coordinator for the Red Sox)—impact his ability to return to being one of the best players in the league? The Dodgers are the only organization with two prospects in the top ten on the prospect lists of Baseball America, Baseball Prospectus and MLB.com. Corey Seager tops all three, but he made his major league debut last September, playing 27 games for Los Angeles down the stretch and starting four of five Division Series games, and he will be the team’s starting shortstop this season. The rarer sighting this spring will be 19-year-old lefty Urias (BA: 4; BP: 6; MLB: 4), who has thrown just two games above Double A thus far but could be in the Dodgers’ rotation as early as mid-year. Neck-and-neck with the Nationals’ Lucas Giolito for the title of best pitching prospect in baseball, Urias is two years younger and has more experience in the upper minors after having spent all of last year in Double and Triple A. Urias doesn’t have a single jaw-dropping pitch, but his low- to mid-90s fastball, his curve and his changeup are all above average. He also has strong peripherals and has received high marks for his maturity both on the mound and off. Urias was dominating in a full-season league at the age of 16 and has moved quickly since, but he does not appear ready for a full-season workload. The 87 2/3 innings he threw in high A ball at the age of 17 in 2014 remain a career high, in part because he had surgery last May to remove a benign mass from his left eye, eliminating the distinctive droop of that eyelid but also costing him more than a month of the season. A young, lefthanded and physically unimposing phenom from Mexico, Urias will have to cope with comparisons to Fernando Valenzuela upon his eventual arrival, but you can be sure the Dodgers won’t let him shoulder the kind of workloads that made Fernando-mania so short-lived. Since winning their first west coast championship in 2010, the Giants have established a pattern of re-signing their own free agents, but spending big to bring new faces to the team had not been a part of San Francisco's off-season strategy. Prior to this winter, the two-year, $23 million deal given to Tim Hudson after the 2013 season was most expensive contract the team had given to an outside free agent since inking Aaron Rowand to a disastrous five-year, $60 million deal after the '07 season. 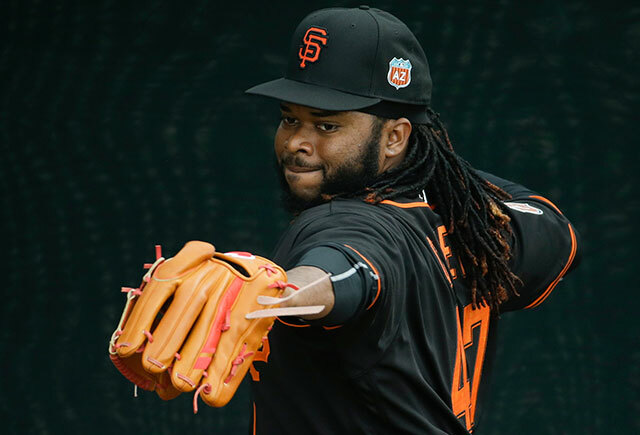 That changed in a big way this winter, though, as the Giants committed a combined $251 million to righthanders Johnny Cueto and Jeff Samardzija and centerfielder Denard Span. All three come with some concerns. Cueto has a history of shoulder issues and was mediocre in his second-half stint with the Royals. Back and hip injuries, including season-ending surgery to repair his left hip labrum, limited Span to 61 games with the Nationals last year. Samardzija, meanwhile, is coming off an awful season with the White Sox in which he led the majors in hits and earned runs allowed and the American League in home runs allowed; his strikeout rate and velocity both took a significant dip as well. Still, the excitement of big off-season additions is a novel one for the Giants and their fans, and if those three can stay healthy and play up to their abilities, they could be instrumental in sending San Francisco back to the World Series. The Big Question: Can Hunter Pence stay healthy? That’s an odd question to ask of a player who, a year ago, had the longest active games-played streak in the majors. But Pence didn’t even make it through the first week of spring training games last year before a pitch broke his left wrist. The veteran outfielder didn’t make his 2015 debut until May 16, and 18 games later, he returned to the disabled list due to tendinitis in that wrist; 34 games after that, he suffered what would ultimately prove to be a season-ending oblique strain. All told, he missed 110 games in 2015 after playing in 383 consecutive games coming into the season. When healthy last year, Pence played up to his usual standard, posting a 120 OPS+ (one point above his career mark), so there is no reason to be concerned about the impact of the wrist injury on his hitting. Still, when injuries start to pile up for a player entering his mid-thirties (Pence will turn 33 in mid-April), it is cause for concern. Given Span’s similarly injury-plagued age-31 season last year and the 34-year-old Angel Pagan’s inability to be both productive and healthy in the same season over the last three years, the Giants need Pence to return to his iron-man ways in rightfield. Drafted with the No. 25 pick in 2013, Arroyo hit .304/.344/.459 in high A ball last year at the age of 20 and projects as a bat-first infielder who is good enough to start full time but is not a future star. There are doubts about his ability to stick at shortstop, but he won’t hit enough to play first base. That limits his options in San Francisco, which has All-Star shortstop Brandon Crawford signed through 2021 and second baseman Joe Panik and third baseman Matt Duffy both under team control through '20. Arroyo (BA: 62; BP: NR; MLB: 82) is indeed the Giants’ best prospect, but he may have more value to the organization as a trade chip than as a future starting infielder. In my Wait 'Til Next Year look at the Diamondbacks last September, I wrote that Arizona “could be a front-end starter away from a return to contention in 2016.” This off-season, the D-Backs added not one but two of those, spending $206.5 million to steal Greinke away from the division-rival Dodgers and overwhelming the Braves with good young players in order to acquire 25-year-old All-Star Shelby Miller. Whatever one thinks of the price the team paid in those acquisitions, those were big moves that set the Diamondbacks up to contend this year. After all, the only NL team to outscore Arizona last year was altitude-assisted Colorado, and, in addition to Greinke and Miller, the team is hoping for a full season from Patrick Corbin, who returned from Tommy John rehab last July and pitched better than he had before the surgery. At the very least, the Diamondbacks should enjoy their first winning season since 2011. The Big Question: Can Yasmany Tomas justify trading Ender Inciarte? To be honest, the biggest question I have for the Diamondbacks is what on earth were they thinking when they approved their new uniforms? The designs were supposedly developed with input from the players, but their new pants look like something out of a Quentin Tarantino movie, and the overall impact is more like that of The Car Built for Homer than of a cutting-edge, forward-thinking design. As for the biggest question concerning the players forced to wear those uniforms, that would be Tomas, the new starter in leftfield. The Diamondbacks signed the Cuban defector to a six-year, $68.5 million deal last off-season, then rushed him to the majors and watched him hit .273/.305/.401 (90 OPS+) in 426 plate appearances and play brutal defense at two positions as a 24-year-old rookie. Baseball-reference.com’s Wins Above Replacement tabbed Tomas’s 2015 performance as being more than a win below replacement level, yet the Diamondbacks are now expecting him to replace Inciarte, a player worth nearly six wins above replacement per 162 games in his first two major league seasons. Inciarte’s defensive ratings may slightly exaggerate his value, and Tomas will benefit from not being asked to play third base and from having played a full season in the majors after a long break from the game following his defection. Still, I see little reason to believe that he will be dramatically improved this season. He hit just six home runs in 257 plate appearances in his last season in Cuba and clearly has no business playing the field at any position. The defensive downgrade from Inciarte to Tomas alone seems likely to undermine the additions of Greinke and Miller, and there was little in Tomas’s performance last year to suggest he can compensate for that loss with his bat. Indeed, he only got worse as the season progressed, hitting .208/.228/.325 after the All-Star break with strikeouts in 35% of his plate appearances. Perhaps new hitting coach Dave Magadan and his assistant, former Diamondbacks first baseman Mark Grace, can succeed with Tomas where departed hitting coach Turner Ward failed. If not, Tomas could be an expensive mistake at an age when most players are still earning the league minimum. Shipley saw his strikeout rate drop significantly in his first full season in Double A last year, and his prospect status tumbled slightly with it. Before last season, he was a top-30 prospect for both Baseball America and MLB.com, but this year, BA has the righthander at No. 77, and MLB dropped him to No. 67 (BP held the line with him, placing him at No. 38). Shipley has a good three-pitch combination with a curveball and changeup that are both better than his mid-90s fastball. He’s also not as experienced as the typical pitching prospect, having first taken the mound as a junior in high school and having spent most of his freshman year at the University of Nevada as a shortstop. Both of those things suggest some additional upside, but, for now, the No. 15 pick in the 2013 draft projects as a solid mid-rotation arm. He could reach the majors as early as this year, if needed. A year ago, the Padres entered camp with high hopes after a winter in which new general manager A.J. Preller treated the off-season like a fantasy draft, trading for rightfielder Matt Kemp, leftfielder Justin Upton, catcher Derek Norris, centerfielder Wil Myers and closer Craig Kimbrel and signing free-agent starter James Shields. San Diego then preceded to win three fewer games in 2015 than they had in '14, finishing 74–88. Since then, Upton left for free-agent riches, signing with the Tigers, and Kimbrel was traded to the Red Sox for an admittedly impressive prospect haul. Also gone are first baseman Yonder Alonso (traded to the A's), second baseman Jedd Gyorko (traded to the Cardinals), starter Ian Kennedy (signed with the Royals) and relievers Joaquin Benoit and Shawn Kelley (traded to the Mariners and signed with the Nationals, respectively), among others. As quickly as it arrived last off-season, optimism for the Padres' return to relevancy has evaporated. At least their new uniforms are actually an improvement. The Big Question: Who plays in the outfield? With Upton gone and Myers moving to first base, the Padres' outfield is wide open. Kemp will remain in right, in part because of Preller’s inability to trade him this off-season and despite the fact that, given his defensive ratings the last two years, he should have been the one to move to first. As for center and left, the leading candidates include Melvin Upton Jr., rookie Travis Jankowski, trade addition Jon Jay and Rule 5 pick Jabari Blash. Any of the first three can play center, with the righthanded Upton offering the possibility of a platoon. Blash, also a righty, could be the short side of a platoon in left, or he could win the position outright if he can build off of his monster hitting performance in Triple A last year with the Mariners. Blash is 26 and not a prospect, per se, but he did hit .271/.370/.576 with 32 home runs last year, including .264/.355/.640 with 22 home runs in 56 games at Triple A, and the Padres have to keep him on the 25-man roster (or disabled list) all year to avoid having to offer him back to Seattle. Another potential platoon partner for Blash could be lefty Alex Dickerson, who will turn 26 in May but hit .307/.374/.503 in Triple A last year. Ultimately, the Padres plan to fill those outfield vacancies with top prospects Manuel Margot and Hunter Renfroe, but those two have combined for just 21 games above Double A (all Renfroe’s). Given the usual service time concerns, there’s little chance that either sees the majors until after the Super Two deadline passes mid-year. The top prospect acquired from Boston in the Kimbrel trade, Margot (BA: 56; BP: 14; MLB: 45) is a slim, 21-year-old centerfielder from the Dominican Republic with blazing speed, making him a significant threat on the bases and an elite fielder in center. His bat is less impressive, but he did hit .271/.326/.419 in 64 games in his first look at Double A last year at the age of 20, hit ten home runs in 99 games in the Sally League in 2014 and has shown a consistent ability to make contact and hit line drives. Even if he’s only a league-average bat, his legs and glove will make him an above-average player, and there’s potential for him to be better than that at the plate. He should make his major league debut in 2017 and be the Padres’ full-time centerfielder in '18. For the last eight years, keeping Tulowitzki healthy seemed to be the Rockies’ primary goal. After all: If Tulo could stay healthy, the Rockies might have a shot. Every spring training since the franchise’s only World Series appearance in 2007 (Tulowitzki’s rookie year) opened with a similar sentiment, and with the lone exception of '09, when Tulowitzki appeared in 151 games and the Rockies returned to the playoffs, every year ended in disappointment for one reason or another. From 2008 through '14, Tulowitzki hit .303/.378/.533 for the Rockies and played Gold Glove defense at shortstop (winning the award twice), but only twice over that span did he play more than 128 games in a season, averaging 112. Now, with Tulowitzki on the Blue Jays, the Rockies are finally able to focus on other things. They can start with how much they let the rest of their roster atrophy while focused on Tulowitzki’s fragility. The Big Question: Can Trevor Story take Jose Reyes's job? When Reyes was acquired in the Tulowitzki deal, he was seen as little more than a place-holder for Story, who had just been promoted to Triple A and was in the process of rejuvenating his prospect status, which took a big hit with a poor high A ball debut in 2013. Story is a below-average defensive shortstop and has a history of needing two cracks at a level to find his groove at the plate, but he hit right away after his July promotion to Triple A, batting .277/.324/.504 with ten home runs in 61 games; on the year as a whole, he hit .279/.350/.514 with 20 homers and 22 stolen bases (at an 88% success rate) between Double and Triple A. Still just 23, the former supplemental round pick (No. 45 in 2011) is on the 40-man roster and looked to be one Reyes injury away from getting his big league shot. Then came the news of Reyes’s arrest for domestic assault in October and the likelihood of a suspension under MLB’s new domestic violence policy. With his criminal trial set for April 4 (Opening Day for the Rockies), Reyes and the team have agreed that the veteran shortstop will take a paid leave for the duration of spring training. That creates a huge opportunity for Story to win the starting shortstop job in camp. If Story can produce up to his abilities and prove competent in the field (and the standard is not that high, given that Reyes is an average fielder at best at the position), there would be very little reason for the Rockies to bench him upon Reyes’s eventual return. The $48 million the Rockies still owe Reyes is a sunk cost, absorbed primarily to increase their prospect haul from Toronto in the Tulowitzki deal, and some of it could be negated by a suspension from MLB. If Story proves capable, the job should be his to keep. The No. 10 pick in the 2012 draft, Dahl (BA: 39; BP: 31; MLB: 46) is a speed-and-defense centerfielder with a promising bat. A slow start and a lacerated spleen suffered in an outfield collision were largely responsible for his poor showing last year, but he hit .292/.318/.481 in 113 plate appearances after returning to Double A in mid-July before knee tendinitis ended his season. Dahl still has some work to do at the plate, particularly when it comes to his discipline, but he is a career .309/.345/.497 hitter in the minors and has the potential to steal 30 bases in a full season (he stole 22 in 79 games last year), and all of that is secondary to the value he’ll provide in the field. As dire as things are at the major league level for the Rockies, their farm system is starting to bear fruit. Righthander Jon Gray, the No. 3 pick of the 2013 draft, is already in the big-league rotation. Story could be the Opening Day shortstop. Dahl, meanwhile, just barely edges out third baseman Ryan McMahon (BA: 43; BP: 36; MLB: 48) and righty Jeff Hoffman (BA: 68; BP: 24; MLB: 52, and the top prospect received in the Tulowitzki deal) for the title of Big Prospect here. I still haven’t mentioned the team’s actual top prospect, 19-year-old shortstop Brendan Rodgers (the No. 3 pick in last year’s draft), and Colorado will have the No. 4 pick this year. 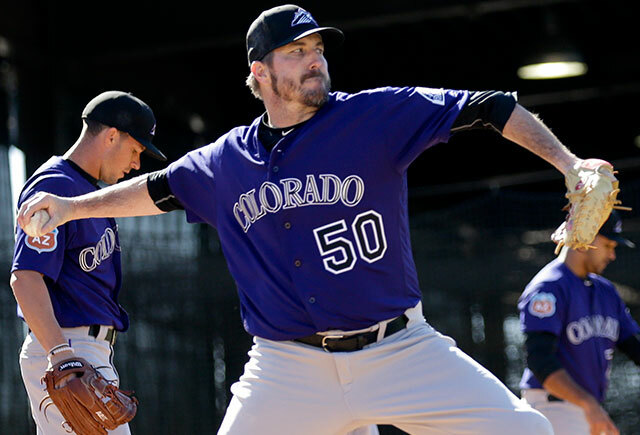 The Rockies are still years away from a return to relevancy, but you can start to see their path out of the NL West cellar when you look at their prospects, several of whom will be on display in March.